Description: Add drama and sophistication paired with distinctive lighting and quality. 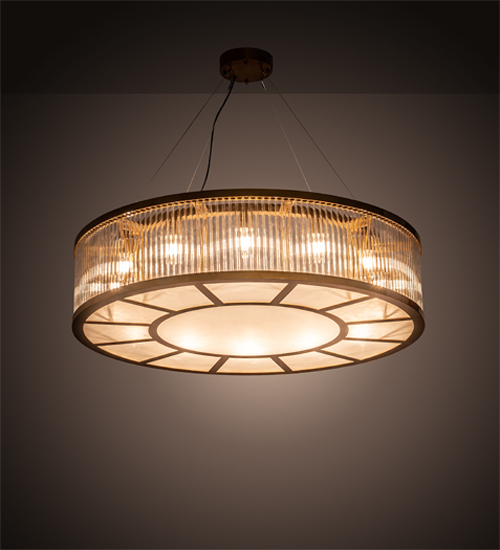 Marquee is a unique pendant featuring a fluted Crystal Idalight lens which is complemented with a Contrail Mist Idalight bottom diffuser design inspired by the Sun. The hardware is offered in a Matte Buttered Brass finish. Handcrafted by highly skilled artisans in our 180,000 manufacturing facility in Yorkville, New York. Available in custom sizes and finishes. UL and cUL listed for dry and damp locations.